This was a busy month! I didn’t read as many books for me as I did books during school. But that’s how it goes sometimes! I do think that I should probably up my Goodreads challenge though. I am 8 books ahead of schedule now! I guess I didn’t factor in how many books we would read during school! I am thinking of changing it to 75 for the year. I am not sure though…. 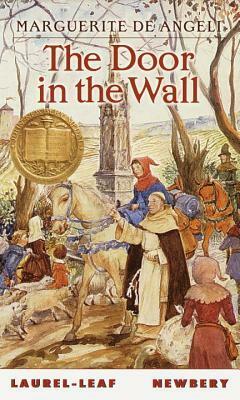 The Door in the Wall by Marguerite De Angeli – The bells clang above plague-ridden London as Robin lies helpless, cold, and hungry. The great house is empty, his father is fighting the Scots in the north, his mother is traveling with the Queen, and the servants have fled. He calls for help but only the stones hear his cries. Suddenly someone else is in the house, coming towards Robin. It is Brother Luke, a wandering friar, who takes Robin to St. Mark’s Monastery, where he will be cared for until his father sends for him. What I thought: Well, this seems typical of the books that we read for school. It had a good story line though. I liked it. Blue Willow by Doris Gates – To Janey Larkin, the blue willow plate was the most beautiful thing in her life, a symbol of the home she could only dimly remember. Now that her father was an itinerant worker, Janey didn’t have a home she could call her own or any real friends, as her family had to keep moving, following the crops from farm to farm. Someday, Janey promised the willow plate, with its picture of a real house, her family would once again be able to set down roots in a community. 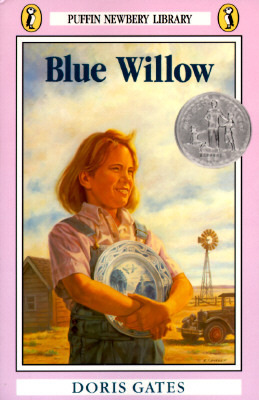 Blue Willow is an important fictional account of the Dust Bowl and the Great Depression, and has been called The Grapes of Wrath for children. It won a Newbery Honor and many other awards. What I thought: I really enjoyed this book that we read in school. It was told well and had a lot of historical mentions. It was easy to picture everything in your mind, the author is a great story teller.. In the ruins of a future America, fifteen-year-old Ice Cream Star and her nomadic tribe live off the detritus of a crumbled civilization. Theirs is a world of children; before reaching the age of twenty, they all die of a strange disease they call Posies–a plague that has killed for generations. There is no medicine, no treatment; only the mysterious rumor of a cure. When her brother begins showing signs of the disease, Ice Cream Star sets off on a bold journey to find this cure. Led by a stranger, a captured prisoner named Pasha who becomes her devoted protector and friend, Ice Cream Star plunges into the unknown, risking her freedom and ultimately her life. Traveling hundreds of miles across treacherous, unfamiliar territory, she will experience love, heartbreak, cruelty, terror, and betrayal, fighting to protect the only world she has ever known. 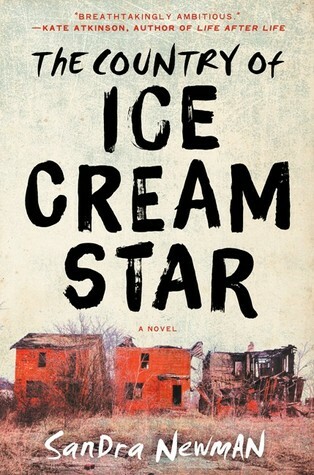 A postapocalyptic literary epic as imaginative as The Passage and as linguistically ambitious as Cloud Atlas, The Country of Ice Cream Star is a breathtaking work from a writer of rare and unconventional talent. What I thought: So, the story took a long time to be told. I got so hung up on the language…it was like an English slang throughout the whole book. Some words I had to guess what they meant. That really took a lot of out me while reading, lol. I could totally see this book as a movie. 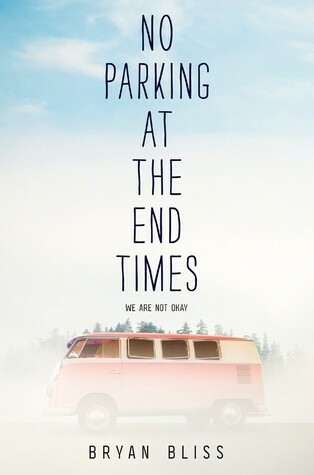 No Parking at the End Times by Bryan Bliss – Abigail’s parents have made mistake after mistake, and now they’ve lost everything. She’s left to decide: Does she still believe in them? Or is it time to believe in herself? Fans of Sara Zarr, David Levithan, and Rainbow Rowell will connect with this moving debut. 99 Days by Katie Cotungno – Day 1: Julia Donnelly eggs my house my first night back in Star Lake, and that’s how I know everyone still remembers everything—how I destroyed my relationship with Patrick the night everything happened with his brother, Gabe. How I wrecked their whole family. Now I’m serving out my summer like a jail sentence: Just ninety-nine days till I can leave for college, and be done. What I thought: I love how the book had the days as chapters. Some were one sentence and some were a few pages. You can see everything changing as the days go on. I really enjoyed reading it. 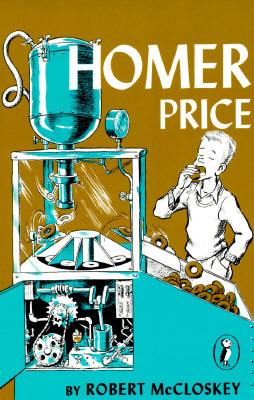 Homer Price by Robert McCloskey – Welcome to Centerburg! Where you can win a hundred dollars by eating all the doughnuts you want; where houses are built in a day; and where a boy named Homer Price can foil four slick bandits using nothing but his wits and pet skunk.The comic genius of Robert McCloskey and his wry look at small-town America has kept readers in stitches for generations! What I thought: Well, we had quite a few laughs at this book when we read it in school. 😀 The little stories were cute and humorous. 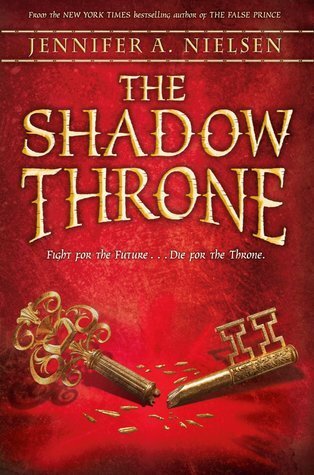 The Shadow Throne by Jennifer A. Nielsen – One war.